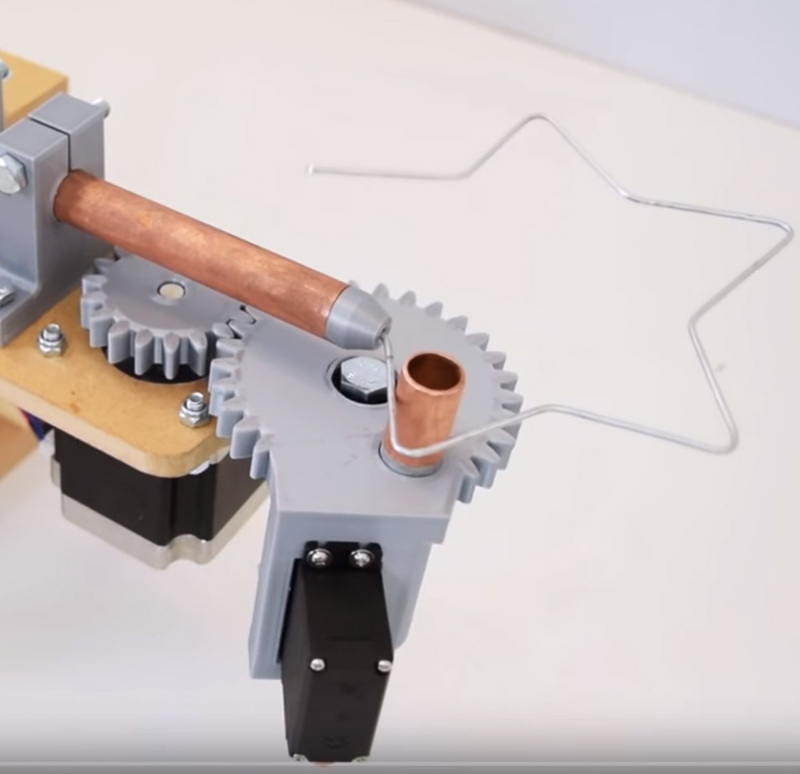 How To Mechatronics YouTube channel posted a video on how to make a wire bending machine using 3D parts taht he designed, some copper tubes, step motor to do the job, a custom made PCB with step motor drivers and of course, an Arduino to control the precise movement. This is a very interesting idea and very useful when you neeed exact shape of metal wire. The bending process is simple, but mounting this machine should take you some time. There are a lot of parts to mount but How To Mechatronics made a full video on how to make it step bu step, so thank you for that. 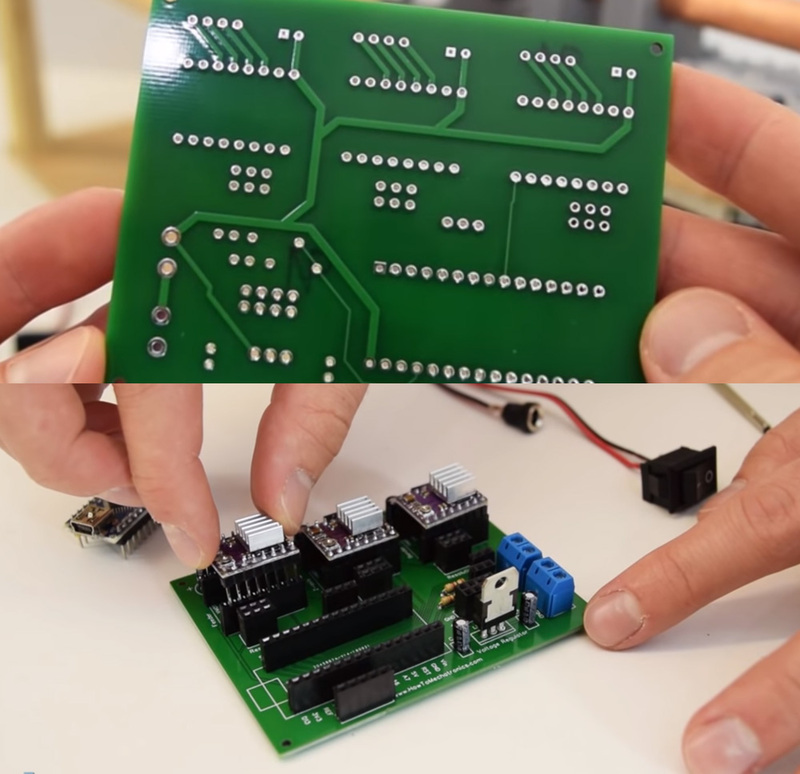 He also shares the 3D designs for this machine but also the PCB that he made for the stepper drivers, voltage regulation and the Arduino NANO that will control the steps of the motors. The PCB is very simple, with some female pins for the Arduino and 3 stepper drivers for 3 motors. 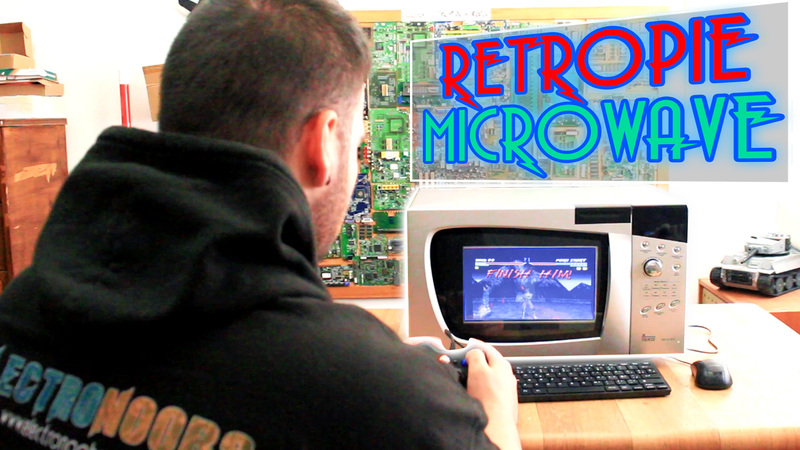 Once he had mounted the machine and the PCB, he made the conections and the also shares with us the full schematic. The machine also uses a servo motor that will engage or not the wire and by that decide if bend or not the wire in certain moments. 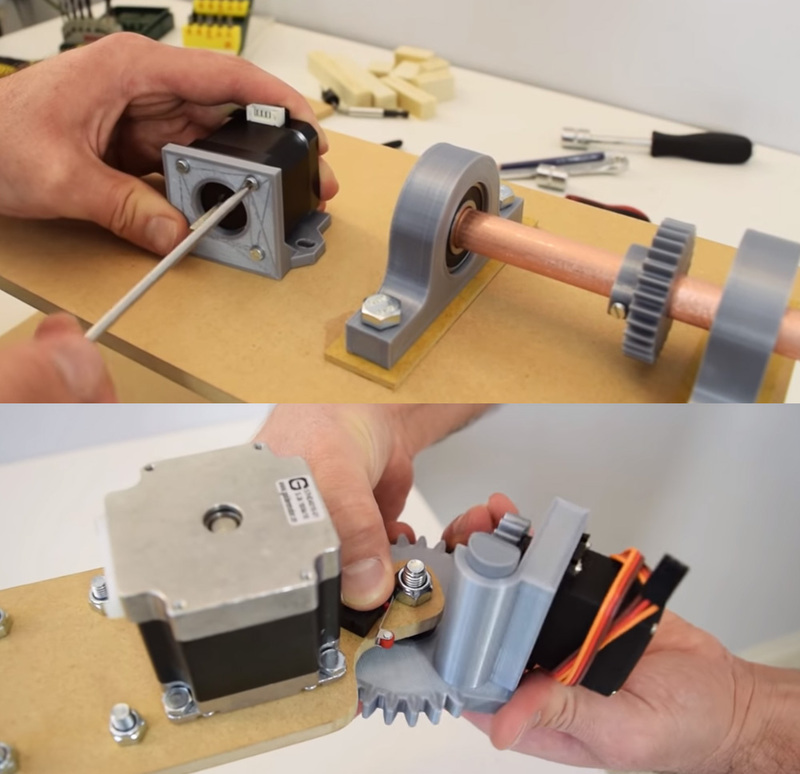 The code calculates how many steps the motor needs to complete the amount of degrees that we want to bend the wire adn then it feeds more wire. Here we have an example of a star shape made out of metal wire. As you can see, after ecah time the wire is fed in, the machin bends it a certain amount of degrees. With more complicated lines of code, we could get any shape that we want. The desing is very good. For more, check his channel on How To Mechatronics .